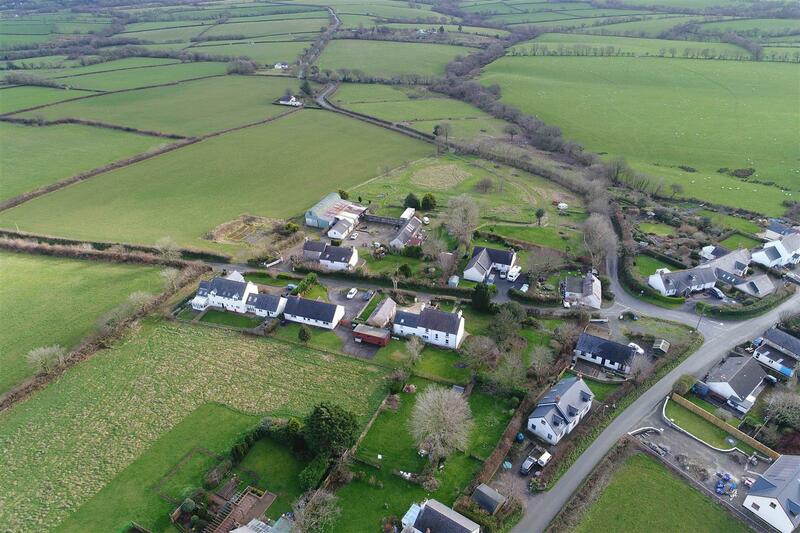 Windy Hill Farm is a sympathetically renovated typical Pembrokeshire longhouse in an idyllic setting within the hamlet of Penffordd. It is south facing and offers amazing panoramic views of the surrounding countryside. 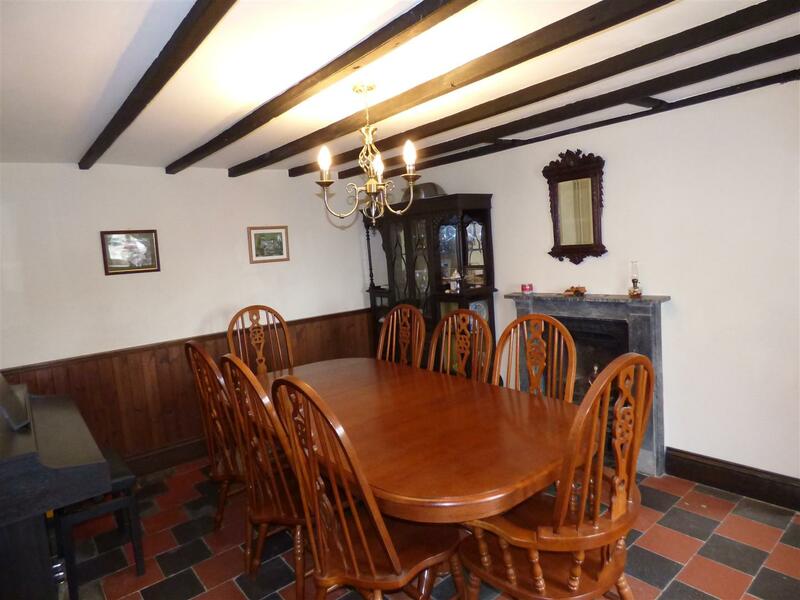 The property is steeped in local history, dating back as far as the 18th century and possibly earlier. There is also a potential source of income from converting the current stone outbuildings into holiday cottages for letting, subject to a detailed planning application. A pre-planning application has already been submitted to the local council. To the front of the farmhouse is an enclosed courtyard offering ample parking for several vehicles. 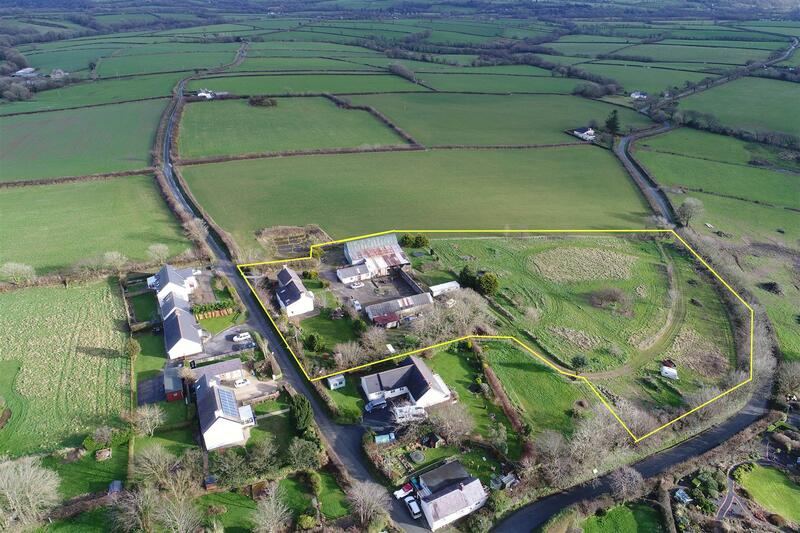 The adjoining field of approximately 2.5 acres could be utilised for a variety of purposes, such as equestrian, camping or small - holding activities. A static caravan, sited at the top of the field, is included in the sale. Well established lawned gardens to the front and side of the farmhouse offer private and secluded areas for relaxing. Including a Dutch Barn and large workshop with permission for light industrial use. Ideal for running a business from home. 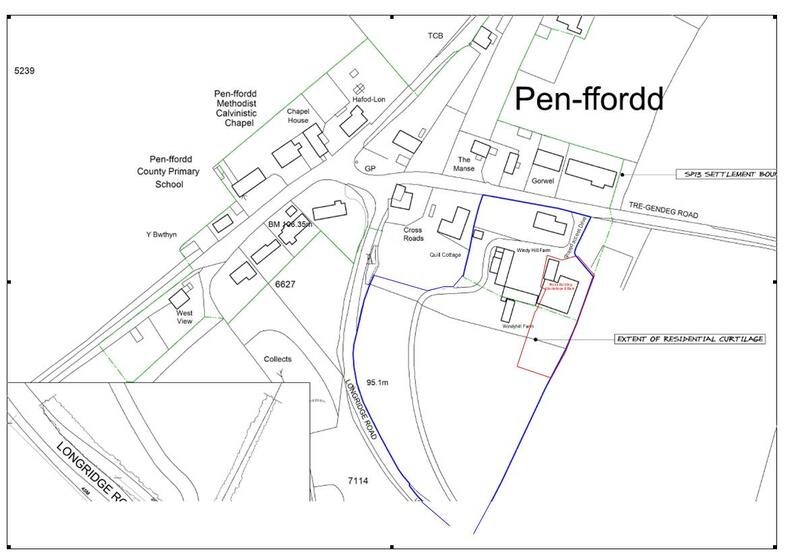 Windy Hill is approximately 10 minutes drive away from the popular town of Narberth, and has easy access to the A40. The county town of Haverfordwest, Llys-y-fran country park and reservoir and the beautiful Preseli Hills are all within a 20 minute drive. Entrance by way of half paned glass door uPVC door into entrance hallway, quarry tiles, stairs to first floor, understairs storage cupboard. Pendant light, doors to dining room and living room. 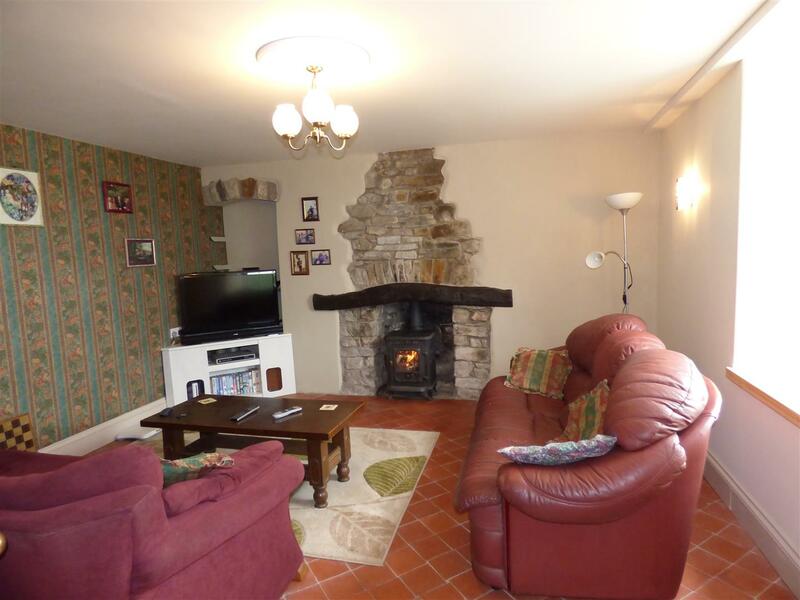 Quarry tiled flooring, uPVC double glazed window to front, feature stone fireplace with wooden beam incorporated, with wood burning stove, feature shelf recess with matching stone feature above. Radiator, pendant light chandelier, 2 wall lights. Quarry tiled flooring, original character beams, radiator, half wood panelled walls. Ceiling pendant chandelier fitting. A cast iron fireplace inset into marble surround. uPVC double glazed window to the front. Wooden staircase to first floor landing, with uPVC window to front, taking full advantage of the panoramic views. 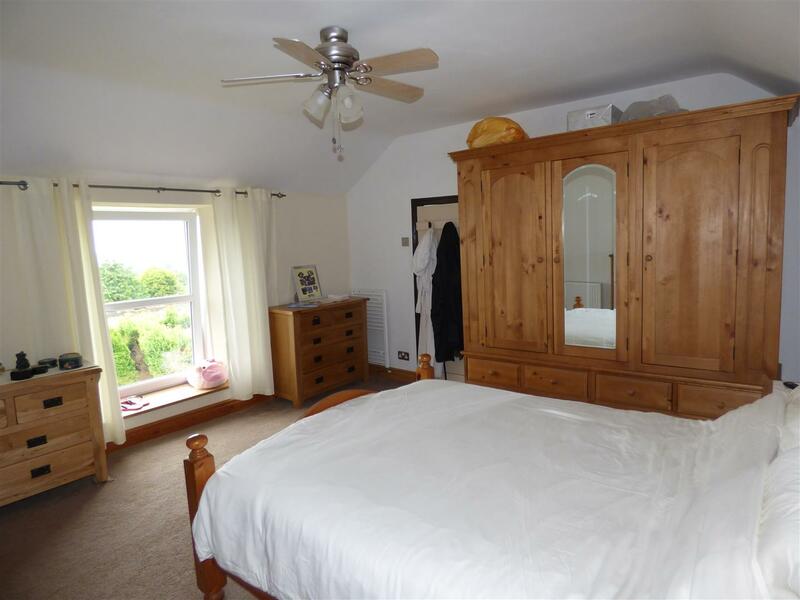 Carpet flooring, uPVC double glazed window to front with amazing countryside views. Radiator, heated towel rail, 1 pendant light fitting currently wired for a ceiling light and fan, 2 wall lights over bedhead, sloping ceiling. Carpet flooring, uPVC double glazed window to front taking in the fabulous views, original beams and feature stone wall, inset recess with shelf, part wood panelled wall, original pine latch door out to second landing. 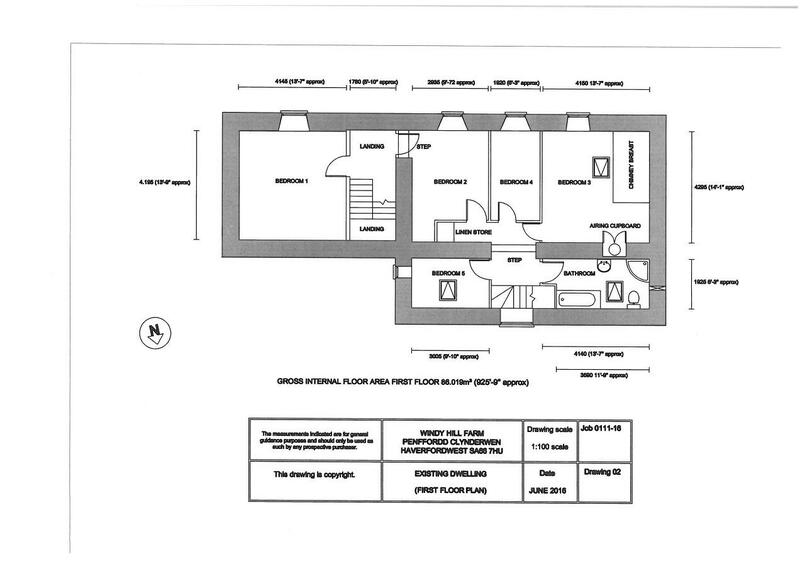 Carpet flooring, wood panel wall, uPVC double glazed window to front, sloping ceiling, window inset into feature stone wall, connecting door into bedroom 4 and latch door onto landing. Original pitch pine part wood flooring and part carpet, connecting door to bedroom 3, unusual feature stone wall with inset shelf. An original A frame feature, original floorboards. Velux window to front, and uPVC double glazed window to front. Access to immersion heater recessed into stone wall, and also access to the loft space. Carpet flooring, velux window to rear, small uPVC window to side, sloping ceiling and inset ceiling light. Vinyl flooring. White suite comprising vanity unit with inset wash hand basin and worktops either side. 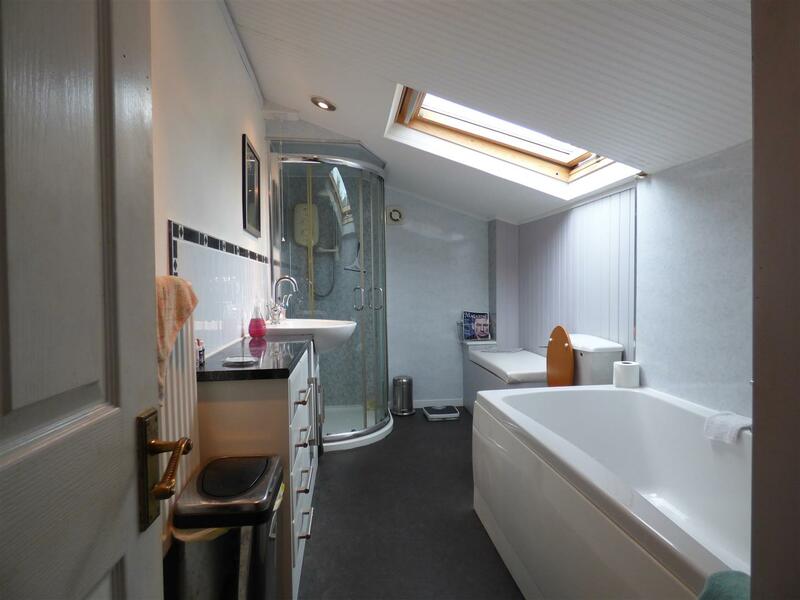 Panelled bath with side mixer taps, radiator, velux window to rear. Decorative acrylic waterproof panelling in the shower cubicle, and also around the bath, 2 inset ceiling spots, extractor fan, sloping ceiling. Separate shower cubicle with Mira Sport Thermostatic shower. Part wood panelled walls. Second landing leading downstairs to utility room, kitchen and Office/study. 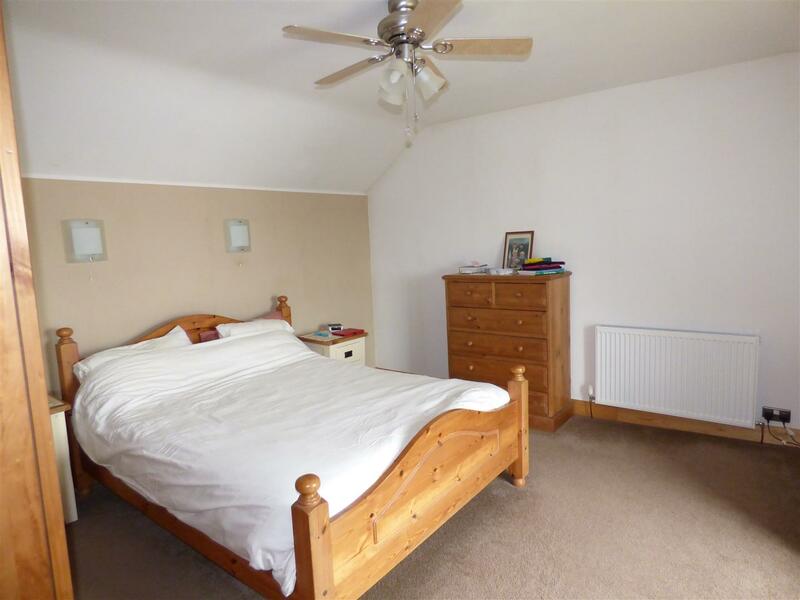 Wooden flooring, space for washing machine and tumble drier, with worktops over. 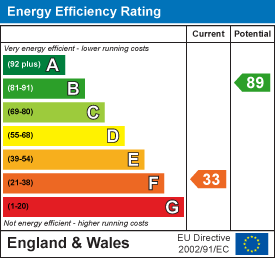 Radiator, uPVC double glazed window to side. Hallway leading to study/office. Cloakroom understairs with low level wc. Carpet flooring, uPVC double glazed window to rear, and one to side. Original character beams, pendant light, inset beam over window to rear, radiator. Vinyl flooring. A range of floor and wall units, with worktops over with tiled splashbacks. Gas cooker using bottled LPG, and a Sorn oil fired cooker, with warming drawer and single oven, Space for fridge freezer, stone inglenook with original bread oven in the corner, and the original beam over, which is inscribed with 1843, which is the time of the Rebecca Riots. Stainless steel one and half bowls with left hand drainer, uPVC double glazed window above overlooking the courtyard and the views. A driveway leads into the property to a private front courtyard, which has ample parking spaces. 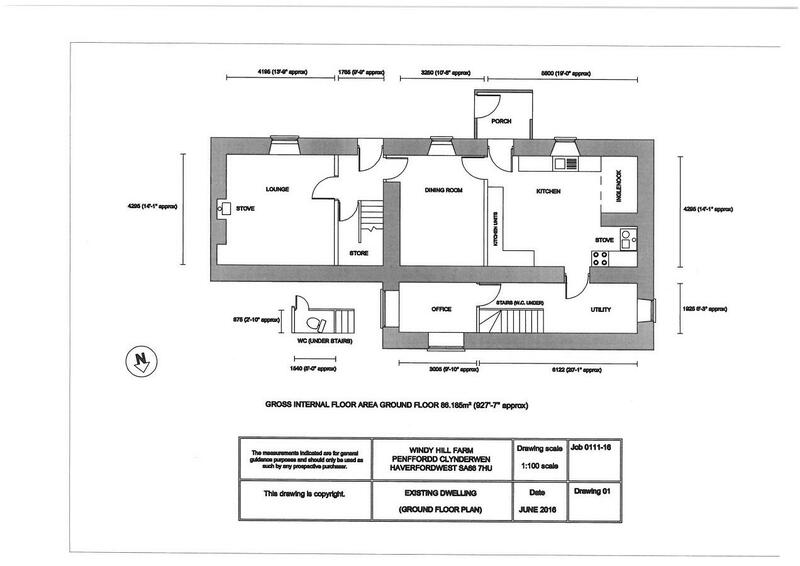 There are outbuildings for which pre-planning has been applied to convert to two holiday let cottages. The front of the property is laid to lawn with mature trees and shrubs, whilst to the side of there is a lawned area and barbeque patio, with a "secret garden" and mature fruit trees. Windy Hill is a typical Pembrokeshire long house. It was originally part of extensive lands in the Bletherston Parish which were owned by John Colby. The Colby family, who moved to Pembrokeshire around the 16th century also bought lands and estates around Narberth, Manordeifi and Fishguard, including Colby Woodland Gardens. The exact date of the older part of the house is unknown, but believed to date from the late 16th, early 17th century. The taller "extension" was added in the early 1800's and is shown on maps from 1840, together with a range of outbuildings which form part of the property. A land tax record from 1791 show that Windy Hill was tenanted by a Thomas Llewellin, with 15 acres of land. In 1843 the date was carved into the oak beam of the inglenook fireplace to commemorate the end of the Rebecca Riots. In 1920 the property was sold by Anne Harriet Colby and Cecil Spence-Colby with approximately 130 acres of farmland. During World War 2 a family of sisters from London were evacuated to live with relatives at Windy Hill. In 1988 the current owners purchased the dilapidated house, outbuildings and approximately 3 acres of field to begin restoration. A large Dutch barn (approx 22m x 11m) with adjacent lean-to further barn, with sloping roof, (approx 8m x 11m) situated to the eastern side of the main courtyard. Also incorporating a carpentry workshop (currently equipped and fitted out - approx 5m x 8m. A new corrugated roof was installed on this workshop area about 10 years ago. Next to the carpentry workshop is a further stone building (approx 6m x 12m) which is presently used as a gym and office. A door from this building leads directly into the workshop. 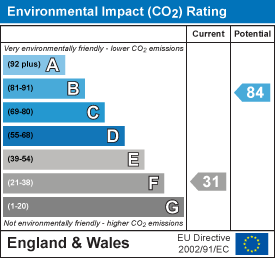 The current vendors have planning permission for light industrial use. The vendors assure Coasty that this is an idyllic place to raise a family and to build a business.